The Hamas Movement has described the claims made by some officials from the Palestine Liberation Organization (PLO) about a plan between it and Israel to separate the Gaza Strip from the other Palestinian territories as "purely media wrangling." Different senior officials of the PLO factions claimed recently that Hamas was seeking with European and Israeli help to establish a separate entity in Gaza, and expressed their fears that such a move would kill any chance to create an independent Palestinian state in the future. 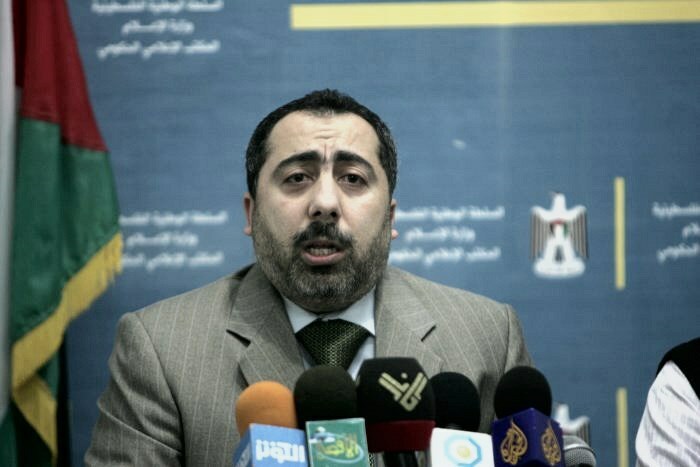 "These are media polemics repeated by leaders of the PLO factions at the behest of Palestinian Authority president Mahmoud Abbas and they aim to curb the European moves that have condemned the PA for disrupting efforts to reconstruct Gaza and lift the blockade imposed on it," Hamas official Ismail Radwan stated in press remarks on Friday to Quds Press. "It is known that the Hamas Movement's position is clear, that it can never negotiate with the occupation except through its weapon and will never be its friend," Radwan emphasized. The Hamas official also stressed that the PLO factions were supposed to give orders to the unity government to assume its responsibilities towards Gaza instead of making such flimsy claims. "Such people (PLO officials) should work for the benefit of their nation instead of making positions that only serve the Zionist occupation and deepen the division," he said. 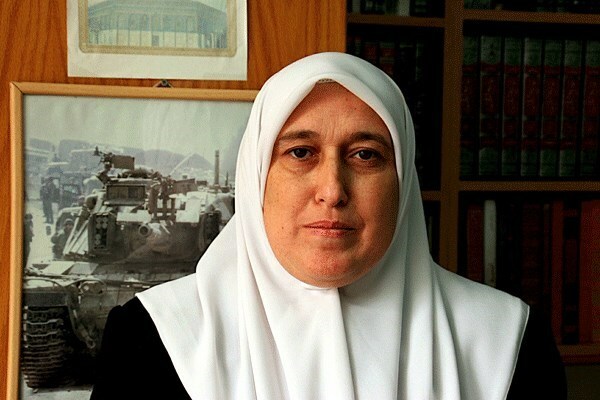 Palestinian lawmaker Mona Mansour has urged the Palestinian Authority (PA) to halt all forms of negotiation and security cooperation with the Israeli occupation immediately. 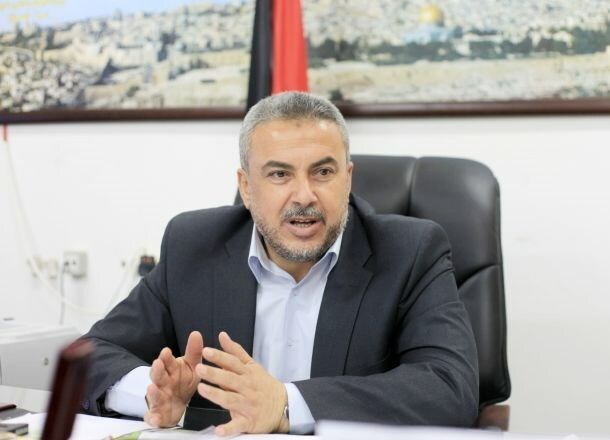 "What is required of the Palestinian Authority (PA) at this stage is to cease all forms of negotiations with the Israeli occupation without delay," MP Mansour stated Thursday. She called for renouncing the peace process and adopting the Palestinian people's national options to pressure the occupation. According to the lawmaker, who is a member of the Change and Reform parliamentary bloc, the Palestinian people's national options are mainly about adopting all forms of resistance against the occupation and ending the security cooperation with it. She said the US and European pledges made to the PA are “mere tentative solutions" acting like "anesthetic injections" aimed at disrupting the practical options available to the PA.
Mansour condemned Israel's use of its violations against the Palestinians and the Islamic holy sites in the West Bank and Jerusalem for electoral advantage. 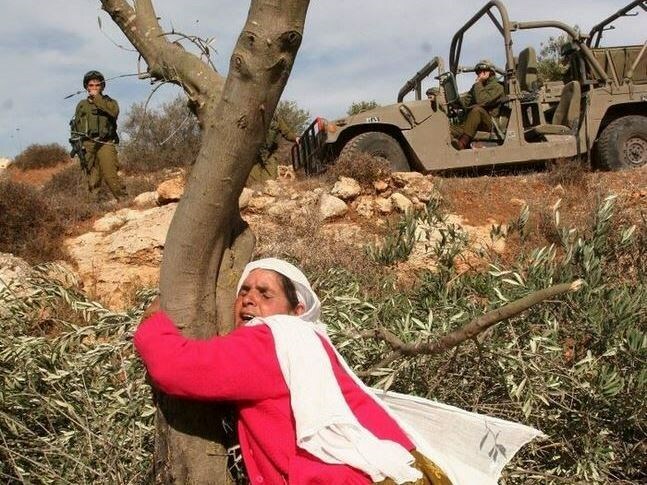 She said that the settlement expansion activities in the occupied territories come as part of the Israeli plans to impose a new fait accompli on the ground. Saudi activists on Thursday created a Twitter hashtag intended for welcoming Hamas political bureau chief Khaled Mishaal’s upcoming visit to Saudi Arabia. The welcoming initiative has started on Twitter under an Arabic hashtag reading that "the kingdom, its government and people welcome the Hamas leader." The hashtag was tweeted out more than 9,000 times in less than two hours. Mishaal is expected to visit Saudi Arabia in response to an official invitation from King Salman Bin Abdul-Aziz. Hamas media coordinator Taher al-Nunu announced the launch of a weeklong interactive campaign starting Friday on social media outlets under the hashtag #AskHamas. The campaign aims at answering any questions that might be raised by European communities with the approach of the time limit, on March 18, of the EU appeal of an earlier court ruling calling for the removal of Hamas from EU's terrorism list. Nunu said, in a speech during a media workshop on Thursday, that the campaign would primarily target western audiences, especially in the EU. “It will send messages reflecting Hamas’s opinions and attitudes towards many issues that concern the western people and demonstrate that Hamas is not a terrorist group”, he explained. The campaign will highlight the fact that Hamas is a national liberation movement and that the real terrorist is the Israeli occupation, he said. He pointed out that the campaign will be focused mainly on social media in Question and Answer form in order to reach the largest number of the western people who showed solidarity with the Palestinian just cause. Through the #AskHamas campaign, Hamas members – including senior leaders – will answer questions by western social media users in order to clarify Hamas's true positions. He called on social media activists to support the campaign, and described it as a Palestinian national duty. 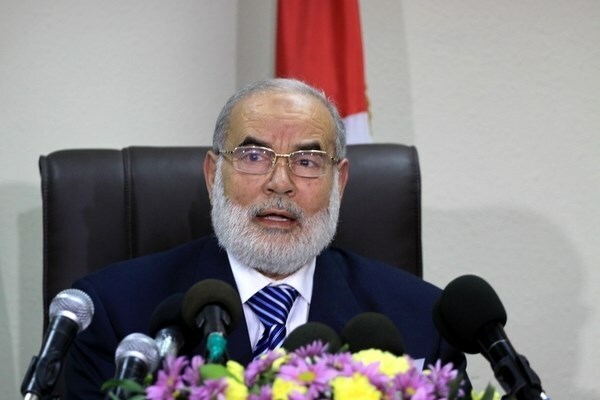 Member of Hamas political bureau Mousa Abu Marzouk said Wednesday evening that Gaza is paying the price over refusing Israeli proposals stipulating its independence and its separation from the West Bank. Some parties have presented to us a number of ideas to establish a seaport and an airport in Gaza Strip and to completely separate the Strip from Israel and thus from the West Bank, Abu Marzouk wrote in his Facebook page. 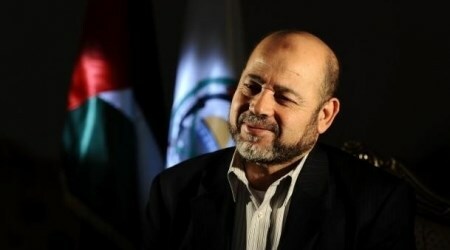 In his Facebook post, Abu Marzouk pointed to the Israeli claims published in Walla website saying that Hamas Movement had sent a series of messages via Western diplomats to Israel indicating interest in a long-term ceasefire lasting between 5 to 15 years, in exchange for an end to the Israeli blockade on the Gaza Strip, the opening of all border crossings, and the establishment of Gaza seaport and airport. Most of these ideas were sent to the Movement via some Israeli military officials, independent figures, and Palestinian businessmen, he noted. He stressed that such ideas do not aim to serve Gaza, but to separate it from the West Bank. "We are now paying the price for refusing these ideas by tightening the siege, increasing economic pressures and movement restrictions. However, we will never accept this scheme", he continued. Abu Marzouk warned of the serious implications of this Israeli scheme which is running parallel with PA president Mahmoud Abbas and Prime Minister Rami Hamdallah’s wrong political policies. Abu Marzouk called on Abbas to reconsider his policies and positions in dealing with national reconciliation. 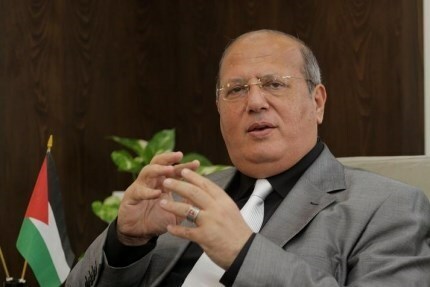 MP Jamal al-Khudari, head of the Popular Committee against the Siege, called for establishing a European committee that consists of activists and supporters of the Palestinian question to demand lifting the Israeli siege on Gaza. The independent MP called on all MPs in the world especially the British to get involved in the Academic and commercial boycott of Israel. Khudari stressed, in a video address to a conference on Gaza siege held in the British Parliament, that the permanent peace requires ending the Israeli occupation and the restoration of the Palestinians’ rights. Ending the siege is a must in order to reach a just peace, he highlighted. The MP also welcomed the latest recognition of the State of Palestine by some European parliaments, and called for adopting more obligatory actions to pressure the Israeli occupation to end its siege on Gaza along with its occupation of Palestine. “We will submit all evidences we have to prosecute Israel and restore our rights”, he said. He stressed the need to end the Israeli siege on the coastal enclave as soon as possible. He quoted Oxfam International as saying that “ending the reconstruction of Gaza requires 100 years or maybe more”. Serious efforts have been made by Hamas to foster the bilateral Saudi-Hamas ties, Osama Hamdan, Hamas's foreign relations chief, said. Hamdan said in his statements to the Jordanian al-Sabeel newspaper that the group is doing its best to boost up fraternity bonds with Saudi Arabia and the region as a whole. 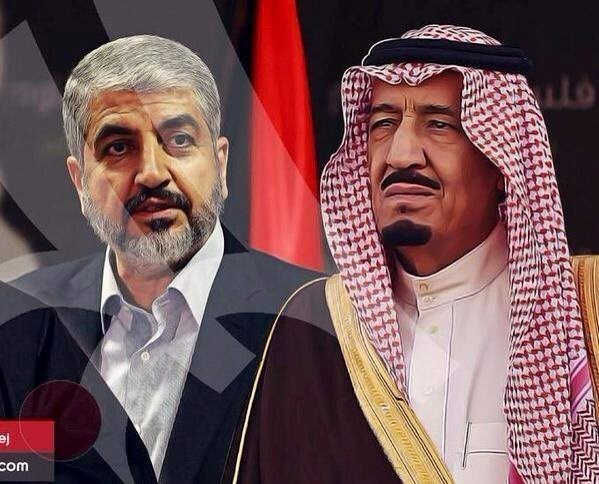 He added that no official invitation has been extended so far by Saudi Arabia to Hamas’s chief Khaled Mishaal. For his part, the Saudi King, Salman Bin Abdulaziz, said afternoon Tuesday the kingdom was committed to defending Arab and Muslim causes, on top of which was the Palestinian right for an independent state with Jerusalem as its capital. King Salman, who ascended the throne after the death of his brother King Abdullah, reiterated the Kingdom’s commitment to promote Islam’s principles of love and peace and to abide by all international treaties and conventions. He voiced Saudi Arabia’s firm rebuff of any attempts to violate the country’s sovereignty and meddle with its home affairs. 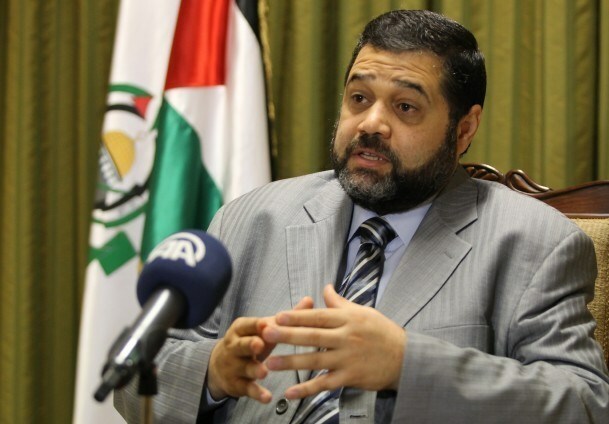 Deputy Speaker of the Palestinian Legislative Council (PLC), Dr. Ahmed Bahar, hailed the Global Forum of Islamic parliamentarians (GFIP) for having condemned the Egyptian anti-Hamas court ruling. Bahar acclaimed the statement issued by the GFIP executive committee, saying it reinforces the pro-Hamas position adopted by the Arab-Muslim world. Bahar said the Palestinian resistance is the noblest “phenomenon” Arabs’ and Muslims’ history has ever witnessed. He called for the need to back-up Hamas instead of lashing out at the group and siding with the Israeli occupation. The PLC official urged all Arab and Islamic parliaments to follow the steps of the Forum of Islamic Parliamentarians and voice their firm condemnation of the Egyptian court ruling blacklisting Hamas as a terrorist group. Earlier on Saturday, the GFIP executive committee slammed, in a meeting held in Istanbul, the Egyptian court verdict, branding it unfair and biased, pushing the world’s parliaments to rally round the Palestinian resistance and work on lifting the Gaza siege. 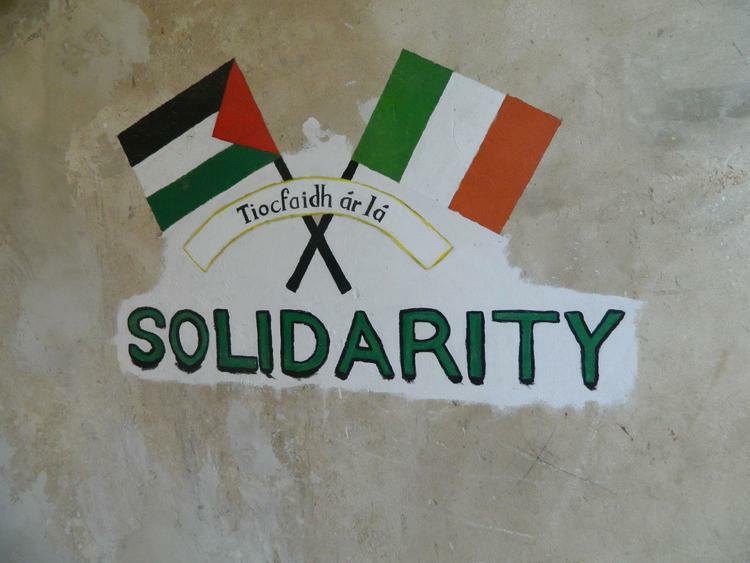 From 7th-14th March, the Ireland Palestine Solidarity Campaign (IPSC) will be hosting a week of informative and interactive events - including a public talk, film screenings and protest rallies - to mark the 11th annual Israeli Apartheid Week. Israeli Apartheid Week is an annual international series of events held in cities and on campuses across the globe, PNN reports. Last year was incredibly successful with over 200 cities taking part in 30 countries. IAW aims to raise awareness about Israel's apartheid policies towards the Palestinians and to build support for the growing campaign of Boycott, Divestment, and Sanctions (BDS) against Israel. IPSC Chairperson Martin O'Quigley said, "Unprecedented numbers of people took to the streets to protest Israel's recent massacre of more than 2,300 Palestinians in Gaza, yet most governments and many corporations continue to provide Israel with support for its crimes. Israeli Apartheid Week is a chance to speak out about Israel's most recent war crimes and all its violations of international law, as well as a way of campaigning to end international support for them and raising awareness amongst people in Ireland." Mr. O'Quigley continued, "Ten years on from the launch of the BDS campaign, this year's Israeli Apartheid Week is also an opportunity to reflect on the success of the movement so far, and to build for the continued growth and impact of the international campaign for freedom, justice and equality for the Palestine people."